Like a mythical kingdom, the city of Yellowknife in Canada's Northwest Territories is the land of stories. Get to know the dynamic energy of its people, who enjoy all the modern amenities of a large city in the middle of a vast subarctic wilderness, just minutes from lakes, waterfalls and wildlife. The capital city has an arts and music scene to match. During summer, outdoor entertainment is plentiful, with contemporary rock bands and traditional Dene drum dances enjoyed equally by 'Knifers and visitors to the city. The food and arts scene is equally eclectic all year round. Watch the greatest light show on earth, the Aurora Borealis, between October and March. Witness the night sky shimmer green, red and blue, from your ownoutdoor hot tub. Enjoy 20 hours of daylight activities during summer. Think hiking, kayaking and mountain biking. Explore Yellowknife's Old Town and travel back in time. Its ramshackle streets, fishing shacks and gold-rush ambiance paving the way to the city's aboriginal village of N'Dilo on Latham Island. Experience the best fishing and canoeing in the world on Great Slave Lake and the Ingraham Trail. Yellowknife is a melting pot of cultures and lifestyles, with an eclectic art scene. Spend a day shopping for unique art, craft and jewellery, created by local artists. Whet your appetite with impeccable gastronomy, using locally northern pike, Arctic grayling, and lake trout from pristine Great Slave Lake, Arctic char from the rivers, fresh buffalo burgers and Baffin shrimp. Step back in time. Yellowknife sits atop the Canadian Shield. The oldest rocks in the region date more than four billion years of age. Explore the wide-open Northern backcountry during winter, on snowshoes, a snowmobile, or ice-skates, and learn how to mush a team of huskies. Visit Prince of Wales Northern Heritage Centre, overlooking Frame Lake, and learn about the Northwest Territories' Dene and Inuit history. Go home with a precious reminder of your Yellowknife adventures, in the form of Canadian Arctic Diamonds, mined just a few hundred kilometres away. Air Canada Jazz, Canadian North, First Air, Air North and Westjet offer daily jet flights to Yellowknife from Edmonton and Calgary, Alberta and from Ottawa, Ontario. An earlybird discount of US$405 is available on two motorcycle expeditions in 2016 that will take adventure-seekers along the world's highest roads in India's Himalayan mountains. The high point, literally, on the tour is the 5600m-high Khardung La – the highest motorable pass on Earth, which is 800m higher than the peak of Mont Blanc, Europe's tallest mountain, 1100m higher than the Matterhorn and just 300m lower than Mt Kilimanjaro in Africa. The 10 per cent discount offer from one of the world's leading motorcycle tour operators, Extreme Bike Tours, is valid for bookings made before June 30, 2015, on one of the two, 14-night 'Mighty Himalayan' tours departing Delhi on June 18 and July 5, 2016. The twin, high-altitude tours will take riders and also non-experienced pillion passengers on classic Indian Royal Enfield Bullet 500 motorbikes across 1300km of remote and spectacular roads in far north India. During the tour, riders will also visit nomadic Himalayan tribes, gushing waterfalls, ancient monasteries and lunar-like, high altitude deserts surrounded by soaring, snow-capped peaks. Accommodation amongst the world's loftiest mountains will be in a combination of tents, rustic guesthouses and hotels along the road. The two Mighty Himalayan tours in June and July next year are now available for US$3645 per rider (including the 10 per cent discount of US$405) or US$2835 for pillion passengers sitting behind crew/drivers or in the support vehicle (including a 10 per cent discount of US$315). Fares include accommodation, meals, fuel and transfers. 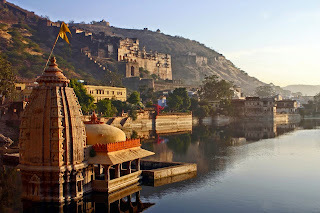 The discounts are valid for bookings made on either of the two tours by June 30, 2015. To access the offer, email info@extremebiketours.com or visitwww.extremebiketours.com. Extreme Bike Tours is based in India and owned by former Englishman and adrenalin junkie, Zander Combe. Leading Cambodian hotel and resort manager, Asia Initiative Corporation (AIC), has released some terrific discounts and benefits for guests booking stays on line until the end of November, 2015. 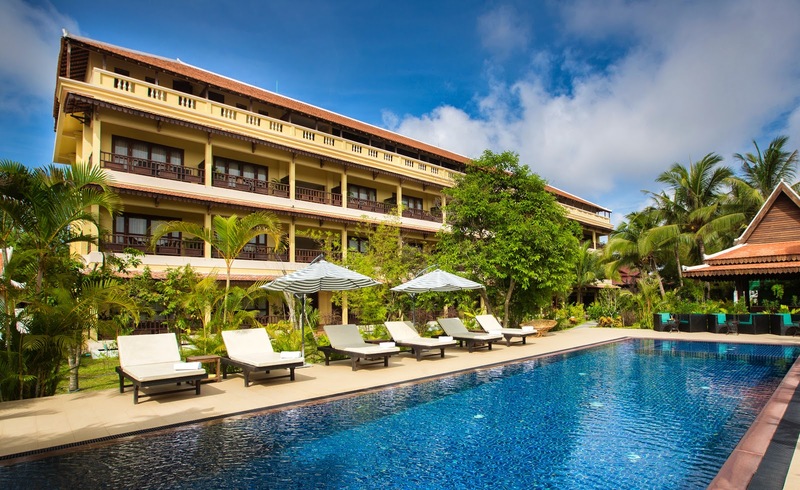 Bookings made for June to September at the luxury Tresor d’Ankor Villa and Resort and the Angkor Heritage Boutique Hotel in Siem Reap are eligible for a ‘four-night stay and pay for three’ promotion. Included are a one-way airport pickup, daily breakfast plus a 20 per cent discount on in-house massages and a 15 per cent discount on all food and beverage. The winter special promotion, stay period from 15 Oct - 29 Nov 2015, offers a 15 per cent discount on all room rates, one way airport pick up, daily breakfast, 20 per cent discount on massage, and 15 per cent discount on F&B bills. The discount is only available if booked at: central.booking@asiainitiativecorp.com | direct: +855 17 955 801. Guests need to nominate the hotel name with the promotion title on the booking and the booking period. The nine villas, 18-room Tresor d’Angkor property opened earlier this year and provides travellers to Cambodia with a new benchmark in stylish, romantic hotel accommodation in the ‘Kingdom of Wonder’. Surrounded by lush tropical gardens, the Tresor d’Angkor is 10 minutes-drive from the airport and two km away from the city centre. It offers easy access to the city's must-see destinations including Angkor Wat and an easy Remarque (Tuk Tuk) ride to restaurants, the Old Market and Pub Street. 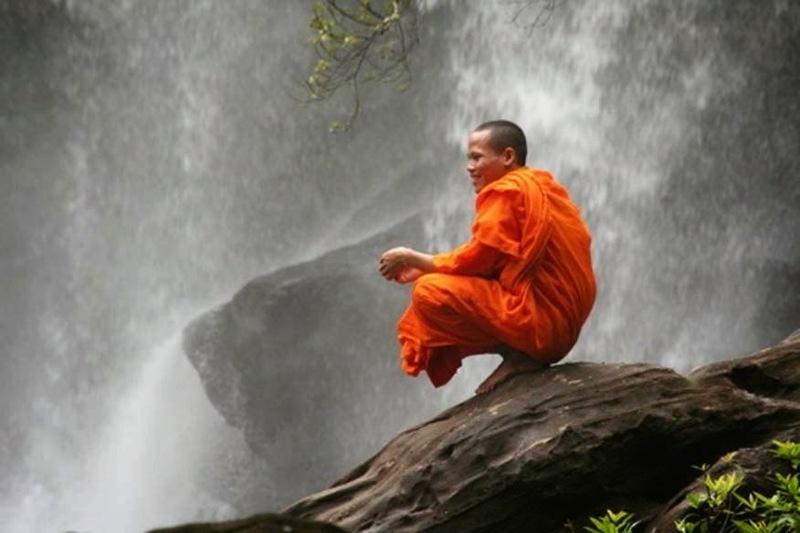 Throughout the year Siem Reap and Cambodia host a variety of festivals and events steeped in culture and religious history and often combined with local public holidays where the whole town relaxes and enjoys the festivities. The most notable is Bonn Om Touk (the Cambodian Water Festival marking the reverse flow of the Tonle Sap River in October/November that attracts large crowds of locals and tourists to the Siem Reap River for the exciting boat races. Also in November, The Pchum Ben festival where people pay their respect to their ancestors, visit the temples and spend time with their families. To mark these festivals the Tresor d’Angkor and the Angkor Heritage hotels are offering additional promotions. The Pchum Ben festival and October special offer runs from 1 - 30 October 2015. It includes a 25 per cent discount on all room rates booked on central.booking@asiainitiativecorp.com, one way airport pick up, daily breakfasts plus a 20 per cent discount on in-house massages and a 15 per cent discount on all food and beverage accounts. The Water festival special offer is from 1 - 30 Nov 2015. It offers a 20 per cent discount on all room rates booked through central.booking@asiainitiativecorp.com | info@asiainitiativecorp.com or by telephone +855 77 332 168. Also included is a one-way airport pick up, daily breakfast, 20 per cent discount on in-house massage, and 15 per cent discount on F&B bills. To celebrate the launch of its new Canada & Alaska 2016 brochure, award winning luxury travel operator APT is offering a range of early booking deals. For example book one of APT’s April 2016 departures on its most popular itinerary – APT’s 22-day Rockies Odyssey & Alaska Cruise - and you will fly to Canada for free, just paying air taxes from $780 per person. Priced from $12,495 per person, twin share, the 22-day Rockies Odyssey & Alaska Cruise commences with a 14 night luxury land journey from Victoria to Vancouver via Whistler, Sun Peaks, Blue River, Jasper, Lake Louise, Banff and Kamloops. Guests travel in comfort aboard a luxury coach and stay in some of the best properties in the region, including a range of Fairmont hotels. They then embark on a seven night Inside Passage cruise with Holland America Line to Glacier Bay, cruising Juneau, Skagway and Ketchikan. Sightseeing highlights on this trip include a two day journey travelling in a GoldLeaf carriage on the Rocky Mountaineer; a refined lakeside barbeque with First Nations entertainment in Jasper; breakfast at The Butchart Gardens before the crowds arrive; the chance to meet a Mountie in Banff; and on the cruise a special ‘Sail Away’ dinner at the Pinnacle Grill. Included in the price of the trip is all accommodation and sightseeing, 44 meals, a seven night Inside Passage cruise in a Verandah Stateroom on a Holland America Line Cruise, complimentary beer and wine with dinner during the cruise, a dedicated APT Tour Director and all port charges, tipping, airport transfers and porterage. Offer is valid on all bookings made by 30 November 2015. Flights are with Air Canada. For full terms and conditions for this offer, please refer to APT’s website aptouring.com.au Offer is subject to availability. Call APT on 1300 196 420, visit aptouring.com.au or see your travel agent for more information. Stamford Plaza Melbourne will be opening up their doors on Saturday 30 and Sunday 31 May 2015, to host an exclusive high tea fundraiser for McAuley Community Services for Women's family violence program. Guests will enjoy a sparkling High Tea with an assortment of meticulously crafted savoury bites, fluffy homemade scones and traditional finger sandwiches served on an elegant three-tiered stand. It will be made all the more luxurious with a tantalising Pavlova Bar, indulgent Chocolate Fountain and a raffle where entrants go into the draw to win a high tea for two plus a deluxe hamper of goodies. McAuley Community Services for Women is a small but impactful charity that works to protect women and their children from family violence. They operate Victoria's only accessible safe house open 24 hours a day, seven days a week, providing crisis accommodation to those in need. "Reading the astonishing figures that 81women died last year through family violence and weren't able to enjoy Mother's Day celebration with friends and family is heartbreaking. The high tea is the perfect opportunity to come to Stamford Plaza Melbourne, enjoy an outing together and simultaneously raise awareness and contribute much needed funds to the charity so they can continue their incredible work. "Adam Hamilton, General Manager, Stamford Plaza Melbourne. A percentage of proceeds from the high tea will go towards the initiative along with all sales from the raffle. The charitable event will be held on Saturday 30 and Sunday 31 May 2015 at Stamford Plaza Melbourne from 1pm-4pm. Tickets are $59 and include sparkling wine. For more information about McAuley Community Services for Women please visit their website www.mcauleycsw.org.au. 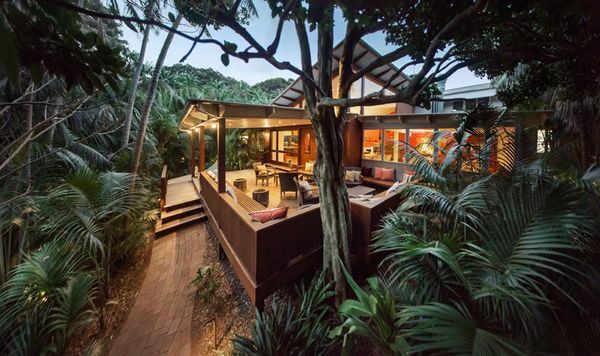 Arajilla Retreat, a high-end luxury retreat located on World Heritage Listed Lord Howe Island has been awarded TripAdvisor's most coveted award, the Certificate of Excellence. To win the prestigious Certificate of Excellence award, a provider must consistently receive outstanding TripAdvisor reviews from travellers. Arajilla Retreat is ranked the Number 1 Accommodation Provider on Lord Howe Island, with 87% of total traveller ratings being 'excellent'. Lord Howe Island is an untouched paradise, with spectacular rainforests that meet crystal clear seas. 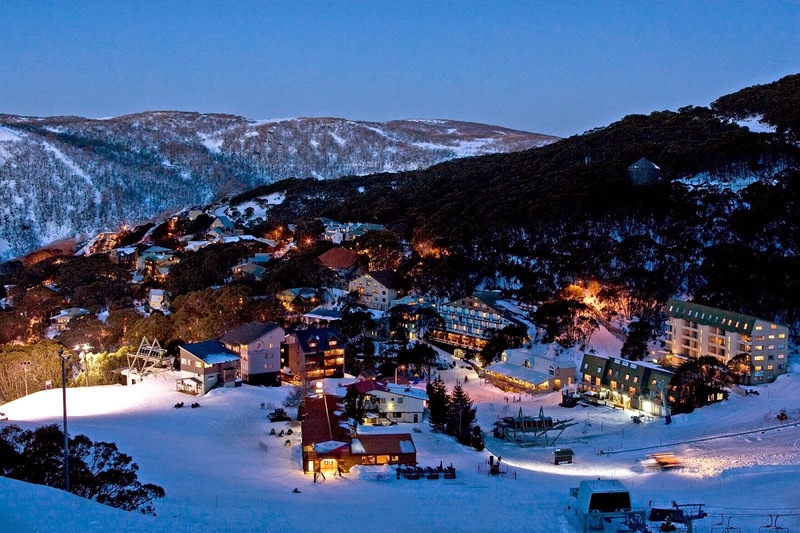 Only a short 2-hour flight from Sydney or Brisbane, Winter is rarely felt on the island. Due to the island's South Pacific location, warm seas allowing for enjoyable cooler months. Arajilla Retreat is perfectly located on Old Settlement Beach, immersed beneath a canopy of Kentia Palms and Banyan Trees. Home to Lord Howe Island's only Ayurvedic Spa, Arajilla Retreat offers personalised programs to open energy flow and promote healing and wellness including de-stress, sleep well and back management programs. Arajilla Restaurant offers 5 star, modern cuisine with all produce sourced locally, and daily line caught seafood a common menu item. Arajilla Retreat is offering discerning travellers a special getaway package to experience island luxury for themselves. Valid from April 1 2015 to October 31 2015, stay 5 nights and pay for only 4 including a bottle of wine and gourmet cheese platter on arrival. Guests will also receive a complimentary $75 Ayurvedic Spa voucher. Seychelles, an archipelago of 115 islands, derives its name from the Vicomte des Séchelles, Louis XV's finance minister although discovered by Portuguese explorer Vasco da Gama in 1502. Scattered like an exquisite collection of jewels across the velvety Indian Ocean, the Seychelles remains one of the world’s greatest sailing destinations. No wonder it and has become a celebrity honeymoon haven of late, hosting the likes of Prince William and Catherine, Duchess of Cambridge and Hollywood royalty, George and Amal Clooney. Sunsail offers the perfect way to discover this exotic archipelago. Sunsail's new Seychelles base is in the heart of this 'paradise on earth' at Eden Island Marina, 2.5km from Port Victoria on Mahé, an ideal place to set off on your Seychelles adventure. Surrounded by three national marine parks, and Mahé is fringed with 68 beaches with a backdrop of towering 1000m granite peaks. Mahé offers the most spectacular setting for an unbeatable sailing holiday. Watch turtles swimming in the warm turquoise waters, hike through lush green jungles, try snorkelling in stunning coral reefs or just simply, sit back and relax. Experience one of nature’s finest environments away from the hustle and bustle of everyday life. 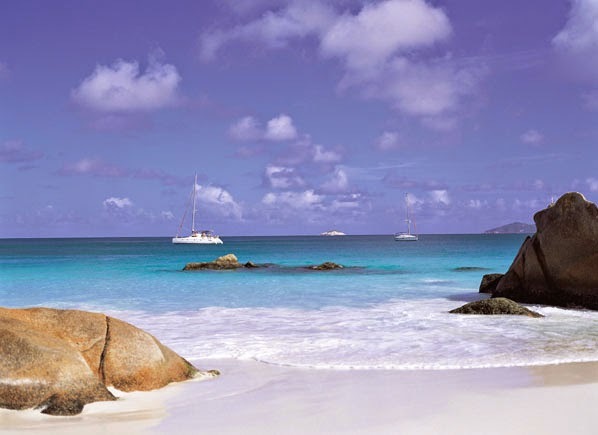 Open-water passage sailing and island hopping is the way of life herein the Seychelles, but don’t forget to pay a visit to Victoria, the capital, for a spot of colonial charm. Air New Zealand is celebrating its new non-stop Auckland to Houston service going on sale today with a limited time introductory fare to Texas and beyond from just NZ $699 one-way. 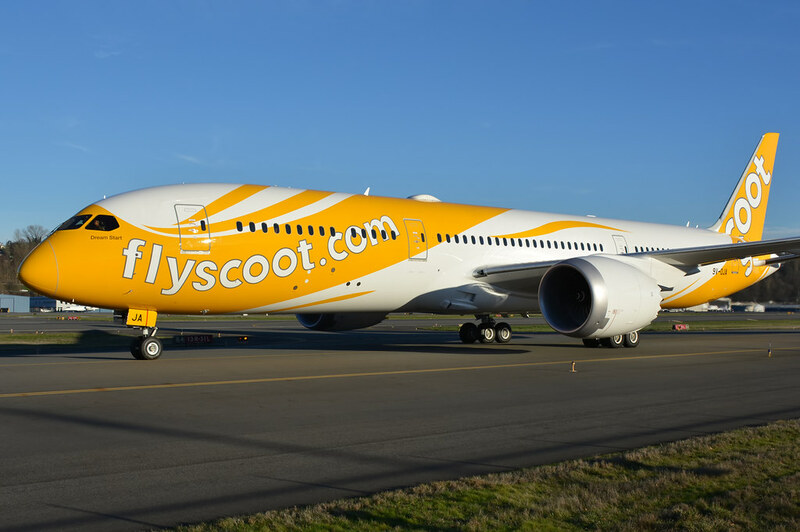 The new Auckland – Houston service is the airline's fifth North American route and will be the fastest way for Kiwis to get to East Coast and Midwest destinations including New York and Chicago. As a special introductory offer the airline is also offering one-way fares to New York from NZ $999 and Chicago from just NZ $989. Customers can also snap up one-way fares to Austin for NZ $899, New Orleans and Nashville for NZ $989 and Memphis, Orlando and Miami for just NZ $999. Air New Zealand's Chief Sales and Commercial Officer Cam Wallace says the airline is excited to offer customers direct and convenient access to the heart of southern USA. “As America's fourth-largest city Houston has a lot to offer travellers keen to shop, dine and explore local highlights such as NASA's Johnson Space Center and Mission Control. It's also the perfect stepping off point for onward travel to popular destinations including Nashville, New Orleans and Miami. “Our newly refitted Boeing 777-200 aircraft will operate the route offering customers our award winning on board experience including lie flat Business Premier beds, comfortable new Premium Economy seats and our popular Economy Skycouch. Air New Zealand's special introductory one-way fares are available now through until 8 June 2015. See www.airnewzealand.co.nz for more details. A new-look, waterside retreat has opened in Port Stephens with a special launch package for winter offering a platter of local seafood, local wine and a whale-watch cruise to see some of the 20,000 humpbacks now heading up the coast. The Thou Walla Sunset Retreat (pronounced 'dha walla') opened on the tip of Soldiers Point on what was once the Soldiers Point Holiday Park in late April, with 33 deluxe and refurbished, self-contained villas offering water views across Port Stephens and west over the bay towards the sunset each day. The retreat honours the original Worimi indigenous community, with 'Thou Walla' signifying a place to gather. While standard villas accept children under 18, the revamped waterview spa villas and sunset villas are for adults only. Aiming to reflect the beauty and abundance of Port Stephens, Thou Walla Sunset Retreat is offering a two-night package for couples available on weekends or weekdays until September 30, 2015. The deal is available for $398 per couple and includes two nights' accommodation in a deluxe waterview spa villa or waterview sunset villa for two adults, a bottle of local wine and platter of Port Stephens prawns and oysters on arrival, a cook-your-own BBQ breakfast pack for both mornings and a 90-minute whale-watch off Port Stephens with Imagine Cruises' new, fast cat, Envision. The offer excludes school holidays and long weekends and is subject to availability. Surrounded by the calm waters of Port Stephens 10 minutes from Nelson Bay, Thou Walla Sunset Retreat offers a relaxed ambience, swimming pool and free wi-fi and plunger coffee in villas, with tennis courts, boat hire and an award-winning restaurant available nearby in Soldiers Point. Bookings are available at Thou Walla Sunset Retreat on 1800 600 204 or visitwww.twsr.com.au. 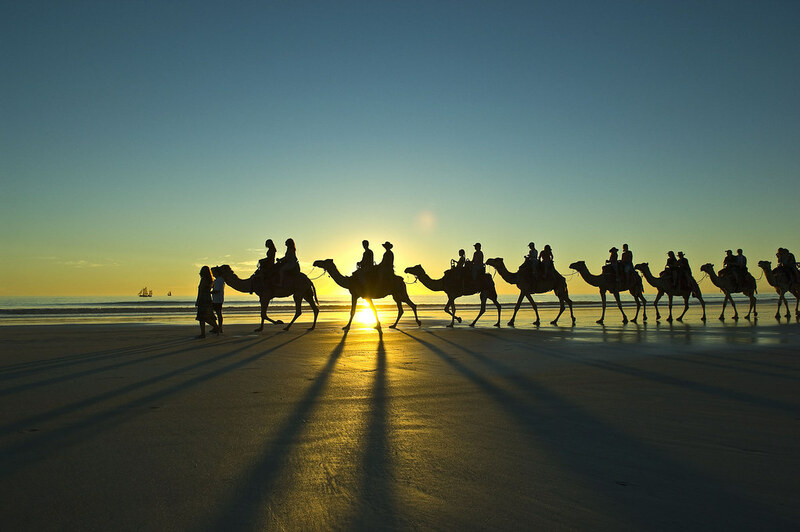 For general information on attractions, dining and events, visit the official website for Destination Port Stephens – www.portstephens.org.au. Ever looked at one of your travel snaps and thought: “Take me back”? Tourism New Zealand launches a new social media campaign #NZMustDo. It might be that time you saw the sun rise from a hot air balloon gliding silently above Hawke's Bay, your first sip of pinot noir after following a cycle trail in Central Otago, or paddling your kayak through the pristine waters of Milford Sound. Whatever your “must do” New Zealand experience, all you need to do is share a captioned photo of it on Facebook, Instagram or Twitter with the hashtag #NZMustDo and tag the person you'd love to do it again with for a chance to win a holiday for two to New Zealand. Fraser says word of mouth remains the number one factor in travel decision-making and, according to figures from Facebook, up to 50 per cent of people say they were inspired to visit a destination after seeing a friend's photo on the social networking site. With its strong focus on art and design, QT Sydney, the most cutting-edge design hotel in Australia and the official hotel partner of Sydney's iconic Museum of Contemporary Art Australia (MCA) has launched the 'Light It Up' package for guests to celebrate the opening of the museum's spectacular new 'Light Show' exhibition, coinciding with Vivid this winter. The 'Light It Up' package at QT Sydney includes overnight accommodation for two guests in a luxurious QT King Deluxe room, breakfast for two at the hotel's award-winning restaurant Gowings Bar & Grill, and two tickets to 'Light Show' at the MCA. This major exhibition explores all facets of light and its versatility as a sculptural medium, showcasing nearly 20 installations and sculptures by international artists from the 1960s to today, including such renowned luminaries as Dan Flavin, Francois Morellet, David Batchelor, Carlos Cruz-Diez, James Turrell and Anthony McCall. Presented in conjunction with Vivid Sydney and the UN/Unesco 2015 International Year of Light, 'Light Show' will also be complemented by a series of public programs, including LIGHT LAB, a creative family space offering free interactive activities with light and color, and extended hours at MCA until 9pm every night during Vivid Sydney (May 22-June 8, 2015). 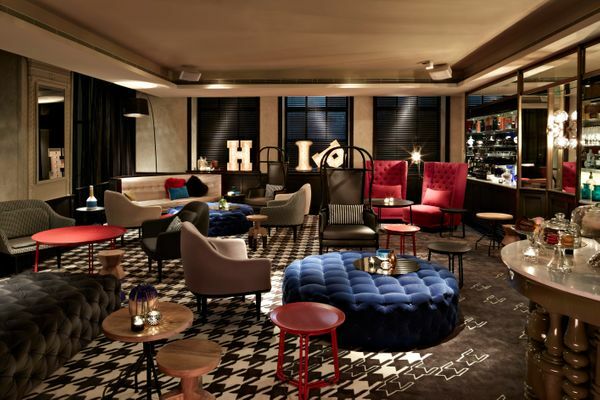 Since opening in September 2012, and as the only member of the exclusive Design Hotels to be located in Sydney, QT has transformed the city's hospitality scene and, with its unique design and art-centric interior, has established a reputation for being a venue for showcasing contemporary artists and a wildly eclectic collection of new medium art throughout the hotels public areas, lifts, lobbies, dining spaces and guest rooms. QT Sydney's Art Curator, Amanda Love, has commissioned and acquired a vast collection of modern art that is the hallmark of the hotel's public spaces. With a strong focus on local and regional talent, works include a signature digital installation by New Zealand artist Daniel Crooks, a multi-channel installation by indigenous artist Daniel Boyd, and sculptures by Sydney-based Morgan Shimeld. Prices start from $370 per night and available for bookings between 16 April – 5 July. For more information or to book the package at QT Sydney, please visit: www.qtsydney.com.au/promotions/light-show. For more information on 'Light Show' at MCA, visit: www.mca.com.au/exhibition/light-show. Fremantle Prison YHA in Western Australia is now open, providing unique accommodation in a World Heritage-listed nineteenth century jail. YHA has converted the property into a 200-bed place to stay - guests can even sleep in original cells or guards’ cottages! Through a heritage-sensitive renovation, Fremantle Prison YHA combines historic charm with purpose built facilities including brand new private rooms and dormitory-style accommodation. This one-of-a-kind YHA contains the original fabric of the prison (including walls, floors and cells) and its history is interpreted and displayed throughout the building. Stays cost from just AUD$28 per person per night in dormitory-style accommodation. Twin/double en-suite rooms are available from AUD$120 per night (family en-suite rooms from AUD$140.) Perfectly-preserved 8-bed Victorian-era guards’ cottages, located just outside the front gates, cost from AUD$280 per night. For the real deal, twin bed cells are available from AUD$68 per night. Special half price opening deals are available for dormitory beds in May. 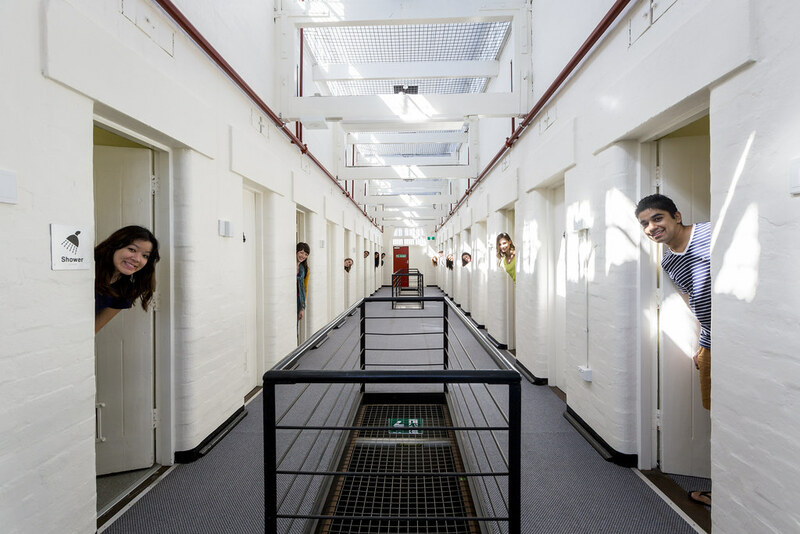 Fremantle Prison YHA offers all the facilities that independent travellers need, including a self-catering kitchen, large common areas, TV rooms, a laundry and luggage storage. The reception is open 24 hours and there is a travel and tours desk to help guests fully experience the area. There is ample parking, air conditioning, heating, lockers, a pool table, ping pong and Wi-Fi. Groups are also catered for with dedicated facilities, including a conference room. The history of the site dates back to 1829, when the area, dubbed the Swan River Colony was designated for free-settlers.However, the settlement’s fledgling agricultural industry soon floundered, due to a lack of workers and transport and administrative issues. With the colony’s future looking bleak, convict labour was introduced and Fremantle Prison was created for the newly constituted penal settlement. Originally known as the Convict Establishment, the prison was built in the 1850s with the first convicts occupying the site from 1855, right up until 1991. 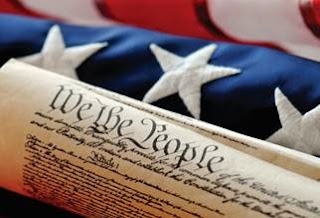 During this time, hangings, floggings, escapes and riots were etched in history. Just a few minutes’ walk from the YHA is the vibrant port city of Fremantle with its untouched nineteenth century streetscape, colourful markets, bohemian cafes and buzzing nightlife. The Maritime Museum, historic tram ride, and Fishing Boat Harbour are all also nearby. YHA is a membership-based, not-for-profit organisation, and part of the world's largest budget accommodation network, Hostelling International, with 4,000 hostels in more than 90 countries. 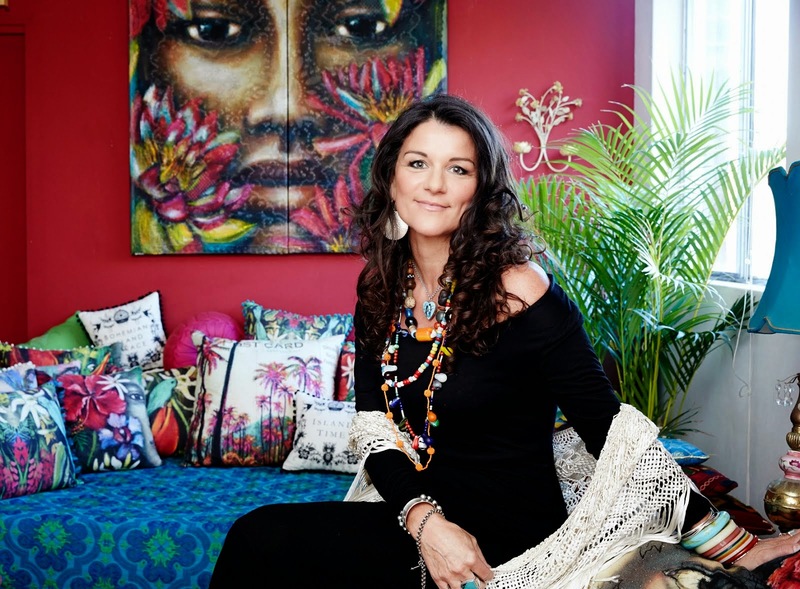 Aspiring artists can discover the natural beauty and vibrant culture of Tahiti through an artist's palette during creative art tours led by Australian artist Tania Wursig. 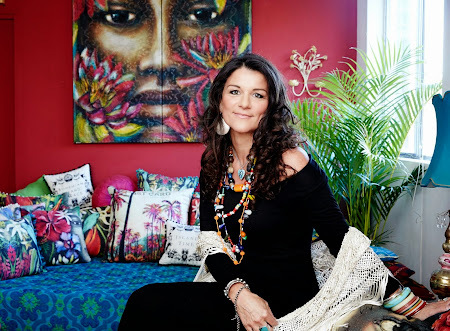 The Sydney born and based artist with a penchant for the exotic will host three seven-day tours this year departing July 13, August 10 and September 7, 2015. Priced from $3740* per person twin share, packages include return economy airfares from Sydney or Melbourne with Air Tahiti Nui, seven nights at Le Meridien Tahiti in a deluxe ocean view room with buffet breakfast daily, transfers, selected sightseeing and some art materials. Travellers will also enjoy daily workshops with Tania in Le Meridien's unique L'Atelier studio overlooking lush tropical gardens and a luminescent lagoon. As the first snow begins to settle about the tops, we are offering some great deals exclusively for our ANZAC mates. Chef Jean Michel wins over guests tastebuds. Grasmere completes 20 years and the gift goes to you. may wish to accompany you. Skiing Porters has never been easier. guests skiing Porters, whilst staying at the Lodge, including families during the school holidays. 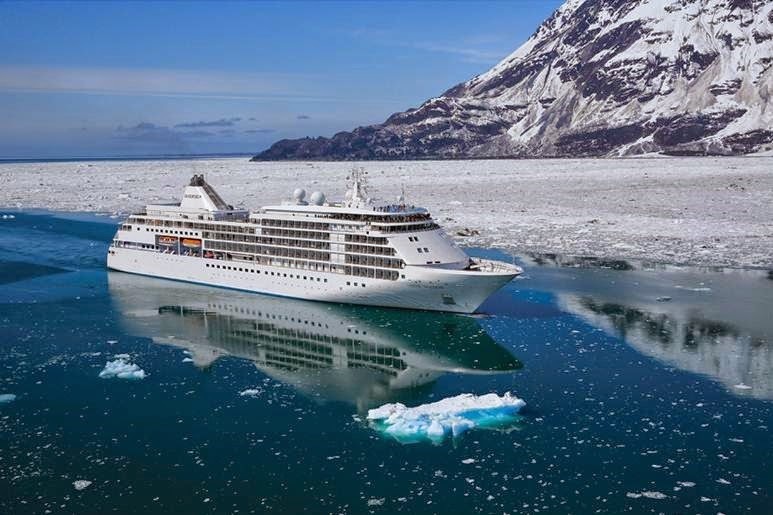 Experience the wild wonders of Alaska, as you sail past sapphire-blue glaciers and vast evergreen forests on a 7-day cruise aboard the ultra-luxurious Silver Shadow. 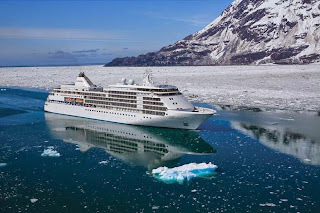 Beginning the Alaska voyage in Vancouver, Canada, on 27 August 2015, guests will disembark in Seward (Anchorage) on 3 September 2015. Alaska is the wild wonder of the American north. On this cruise, wind your way through its Misty Fjords and intriguing inlets, and sail through the Inside Passage and breathtaking Hubbard Glacier. Perhaps see Iditarod dogs on land or watch a whale breach in the Gulf of Alaska. In a land that clearly calls out to be explored, you can kayak, hike, fish, snorkel and enjoy a vast array of other discovery activities. Guests that begin or end their voyage in Seward will receive complimentary transfers to/from the Anchorage Airport Train Station via chartered rail service. The 4.5-hour scenic train ride along the Alaskan Kenai Peninsula is said to be the most scenic in all of Alaska. 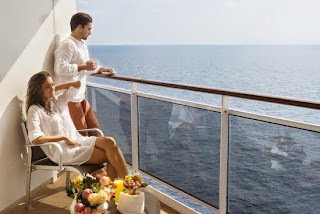 Book this voyage by June 30 2015 and select a two-category suite upgrade, 50% savings on a second suite or US$1,000 onboard credit per suite to use for shore excursions, spa treatments, specialty restaurants and more. While most of us spend Mother's Day spoiling our Mums, a handful of furry Mothers at Featherdale Wildlife Park are spending the occasion nurturing their tiny newborn babies in their pouches. Several Koalas have recently birthed their jelly bean-size young, which will spend the next few months developing in the warmth and safety of the pouch, before popping their heads out in the spring time. Likewise, the Wallabies and Kangaroos have been busy attending to their pouch-bound offspring and visitors to the Park can try their luck catching a glimpse of the joeys as they start to become more visible. A Mother's work is not necessarily easy at Featherdale with different species giving birth under sometimes challenging circumstances. The Ghost Bats and Grey Headed Flying Fox have to give birth to their babies while hanging upside down. They fold their babies up in their wings to ensure they don't drop them for the first day or so until the baby is strong enough to hold on tightly by itself. And reptile mothers barely get a chance to see their babies once they've delivered. They can give birth to up to 30 eggs or live babies, which are all ready to go out into the big wide world the minute they are born. 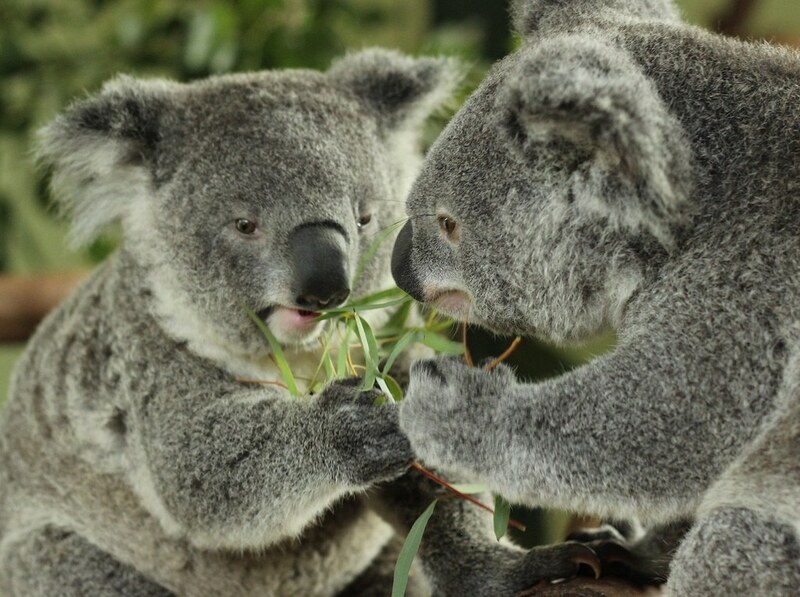 Visitors to Featherdale can also wish two of the baby koalas, Caesar and Chester, a happy birthday - the pair have just celebrated their first birthday with a delicious feast of their favourite meal - eucalyptus leaves. All Mums who visit Featherdale Wildlife Park this Mother's Day, Sunday May 9, will be treated to a special gift pack. Breakfast is best enjoyed on holidays, so Best Western is set to give guests even more value out of their stay with a free breakfast at participating properties across Australia, New Zealand and Fiji. From 6 May until 30 June 2015, guests can book the 'Free Breakfast' rate which gives them a free continental breakfast. 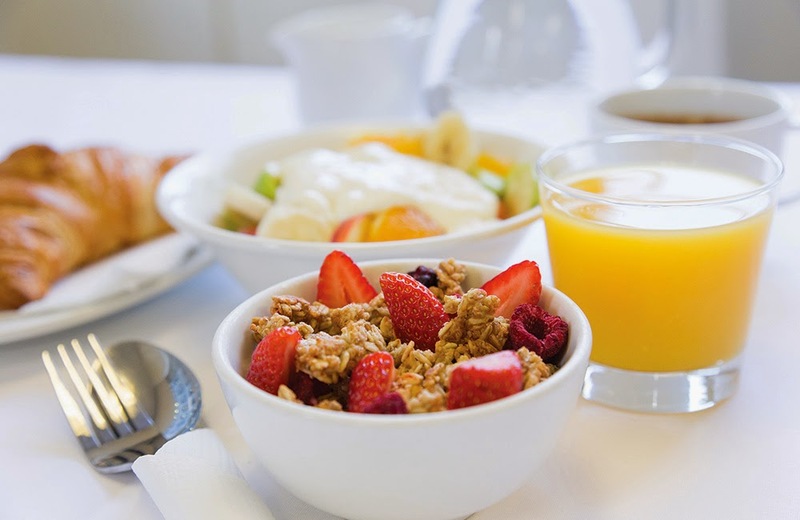 "People are more likely to stay at a hotel if breakfast is included," said Steve Richards, Best Western Australasia's General Manager of Sales and Marketing. "Whether travelling for business or leisure, it's important to get a healthy start to the day." 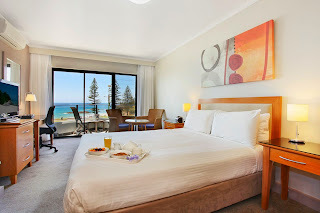 Search and book participating properties at www.bestwestern.com.au/free-breakfast. 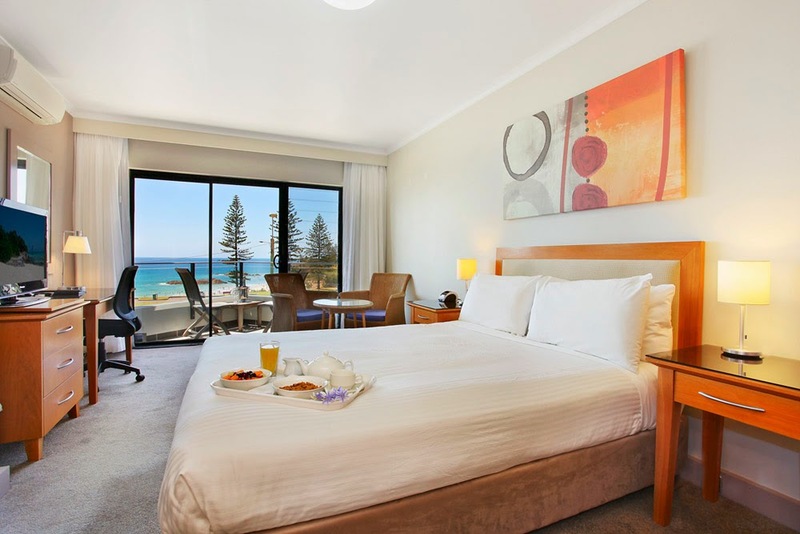 Must book at bestwestern.com.au/free-breakfast between 6 May until 30 June 2015. Valid for stays until 30 April 2016. Best Western has 160 hotels, apartments and resorts in Australia, New Zealand and Fiji and over 4,000 hotels worldwide. 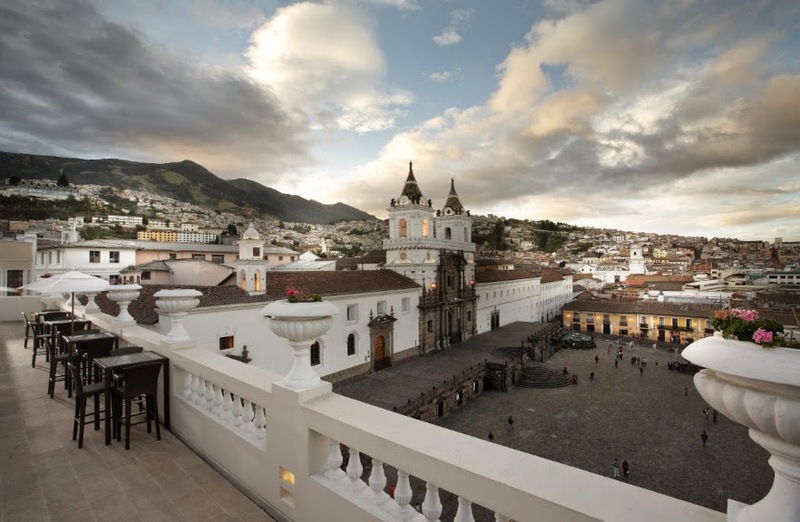 Contours Travel Offers Deluxe Ecuador with Savings of $996! To mark their 40th anniversary, Australia's longest running Latin America operator, Contours Travel, is rolling out a series of exclusive deals throughout the year to celebrate the milestone. The first one that has just been released is a deluxe nine days and eight nights package to Ecuador. The tour combines three experiences including three nights in the historic Casa Gangotena in Quito, two nights at the contemporary nature Mashpi Lodge and three nights on the M/V Pinta Galapgos Cruise. Tour highlights include the historical and natural assets of Ecuador, the volcanic Galapagos Islands and the region's extraordinary wildlife. Usually priced at $7,192 per person twin share, bookings made within 2015 will receive a generous $996 credit to be used towards the package, paying $6,156. Blackout periods (15 - 31 December 2015) should be observed. Terms and conditions apply. For more information, visit www.contourstravel.com.au or call 1300 135 391. 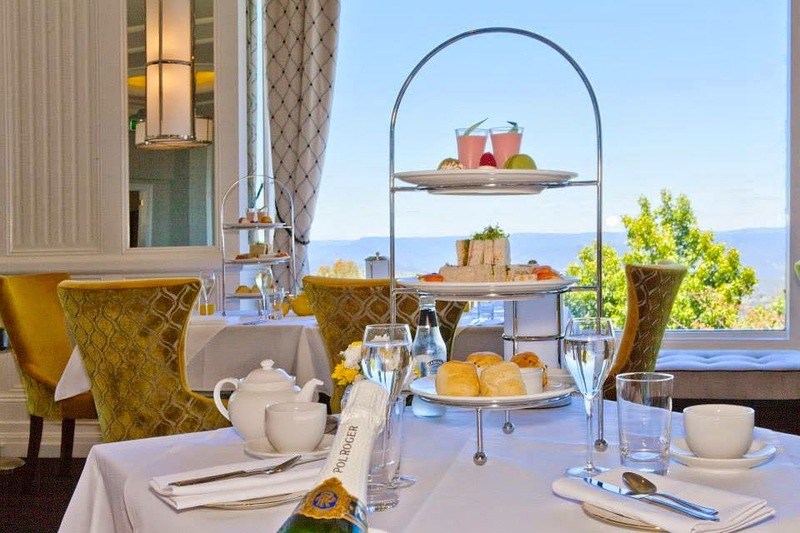 Tea drinking guests of the Hydro Majestic Hotel can discover ``what a day may bring forth'' when the tealeaves are read at the new Mystic High Tea experience on weekends. 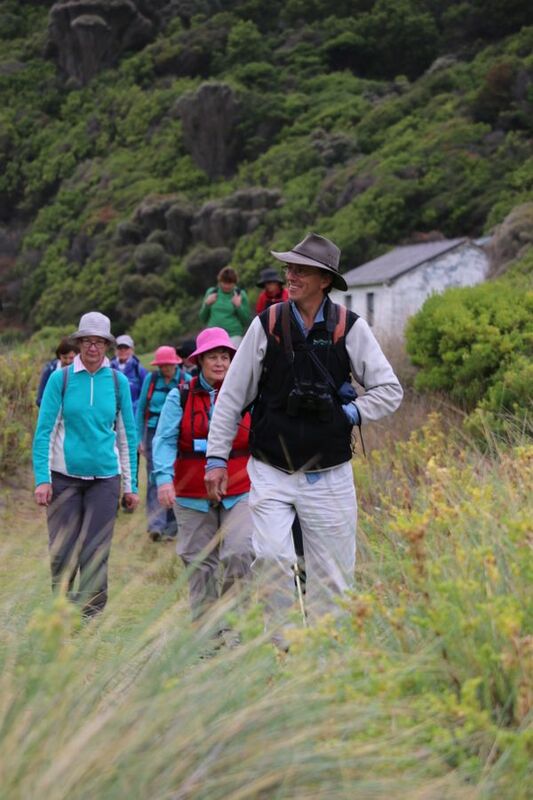 Escarpment Group general manager Ralf Bruegger said: ``Tealeaf reading goes along with the quirky activities people remember about the Mark Foy period of the Hydro specifically and the end of the Victorian era in general. ``This is a new attraction we are introducing as part of our continued journey as part of the history of the Greater Blue Mountains region. ``Nowhere else in the Blue Mountains can you indulge in a high tea, wander through the halls of history and have your tea leaves read. Tealeaf reading, or tasseography, is one of the most common divinations or fortune-telling methods. It interprets patterns of tealeaves (or coffee grounds or wine sediments) and will be practiced in the sumptuous Cat's Alley venue at the world-famous hotel. Guests may have their tealeaves read in the dramatic setting of Cat's Alley after indulging in high tea in the Wintergarden. The activity involving ``the cup that cheers but not inebriates'' represents refinement, prestige and vogue, just like the exquisitely refurbished Hydro Majestic Hotel. 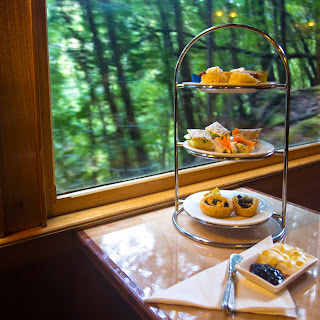 High tea is served in the Wintergarden, while tealeaf reading is conducted in Cat's Alley at the Hydro Majestic Hotel, Great Western Hwy, Medlow Bath, from 12pm to 4pm every Saturday and Sunday. Cost: $40pp after normal high tea costs. Go to www.hydromajestic.com.au for more information. Throughout the month of May, Royal Caribbean International guests are invited to take advantage of a special 'buy one, get one up to fifty per cent off' offer, applicable to most local and international itineraries and ships. Plus, eligible bookings made on 2016 and 2017 departures will also receive a discount of up to 50 per cent off the cruise fare for third and fourth guests in the same booking, excluding taxes, fees, port expenses and gratuities. This unbeatable offer is available to book from 1 – 31 May 2015 and is applicable on eligible itineraries departing from 1 June 2015 onwards of five-nights or longer. Enjoy an eight-night South Pacific Bliss itinerary departing Brisbane onboard Legend of the Seas on 18 February 2016 from just $1,099 for the first person and $549.50 for the second. From Brisbane, where Legend of the Seas will call home, the roundtrip sailing explores the tropical paradise of Noumea in New Caledonia and Mystery Island and Port Vila in Vanuatu. Experience South East Asia on a 10-night sailing from Singapore to Perth departing 3 November 2015 onboard Explorer of the Seas, priced from just $1,099 for the first passenger and $549.50 for the second. From Singapore, the cruise calls at Kuala Lumpur and Langkawi in Malaysia and Phuket in Thailand, before travelling down the coast of Western Australia to arrive in Fremantle. Explore Australia's Top End over 16-nights onboard Radiance of the Seas from $2,799 for the first passenger and $1,399.50 for the second. Departing Perth 17 November 2015, the sailing travels up the coast of Western Australia to Bali before calling at Darwin, Cairns, Brisbane and arriving in Sydney. Or sample New Zealand in summer on an 11-night roundtrip cruise from Sydney onboard Voyager of the Seas departing 18 December 2015, priced from $2,599 for the first person and $1,299.50 for the second. The sailing calls at Auckland, Tauranga, Napier, Wellington and Picton. Terms and conditions for the offer: Valid for new individual bookings only. Offer excludes Quantum of the Seas, Anthem of the Seas, Harmony of the Seas and Ovation of the Seas, transatlantic voyages and all sailings departing from China. Price quoted is per person based on lowest available interior cabin and prices are subject to change. Sale is not combinable with any other offer or promotion and will expire on 31 May 2015 unless sold out prior. 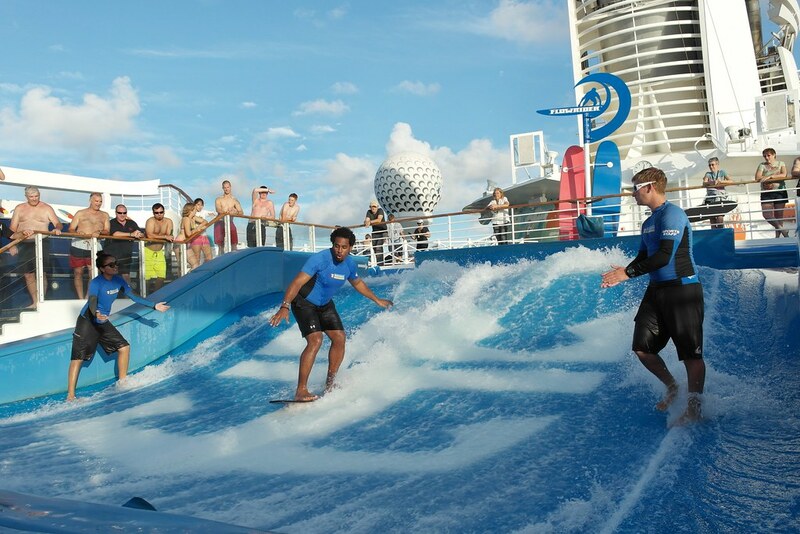 For full terms and conditions, visit: www.royalcaribbean.com.au. Sail through the Mediterranean aboard the luxurious Silver Wind, on a seven day cruise from Italy to Monaco. 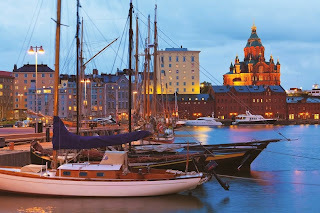 Departing from Civitavecchia (Rome), Italy, on 11 September 2015, Silver Wind sails its guests from the artistic and architectural masterpiece of Rome, to the rugged and enigmatic island of Sardinia, stopping in the north-eastern city of Olbia. Here, guests can discover the picturesque beauty and history of the Costa Smeralda (Emerald Coast) during a half-day included excursion to Baja Sardinia and Porto Cervo. Continuing her journey, Silver Wind then travels to Calvi, a French commune located on the island of Corsica, home to a breathtaking vista of red rooftops, crystal waters and hidden cultural gems. 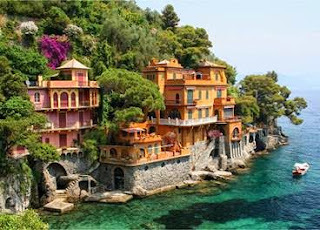 She then sets sail to rustic and elegant Portofino, a decidedly romantic coastal village located on the Ligurian coast, along the Italian Riviera. 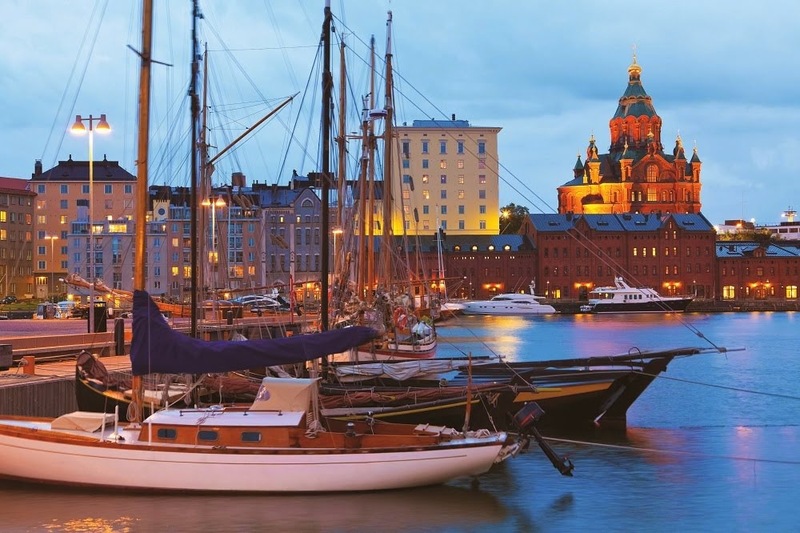 Docking overnight in Livorno, guests will have ample time to explore some of Italy's finest charms, from the medieval and architectural landmarks of Florence, to the rustic and laid-back streets of Tuscany. The voyage continues with Silver Wind crossing the shimmering Mediterranean to Cannes, a French city pampered with a luxurious climate and glamourous resorts. Sailing to Monaco, Silver Wind anchors in the fortified town of Monte Carlo for an overnight stay. Here, guests can enjoy a scenic drive through the Grande, Middle, and Lower Corniche of the French Riviera. On the final night of this voyage, guests can indulge in an exquisite evening aboard the ship in Monte Carlo before disembarking on 18 September 2015. To enhance Silversea's 2015 Mediterranean all-inclusive pricing, guests are able to take advantage of included Silver Shore Select excursions, which are offered in every port of call, as well as two hours of Wi-Fi per day (unlimited Wi-Fi in Medallion and higher suite categories).